If it wasn't a bird, or a plane, or Superman, then what exactly was that thing you saw streaking through the night sky? It can be a tough call to make, but one hardly alien to members of MUFON, or Mutual UFO Network. Since its 1969 debut in Quincy, Illinois, MUFON has dedicated itself to probing Earth's greatest mysteries – and unlike shady government agencies who would withhold their findings from you, the United States' "oldest and largest UFO investigative organization" is pretty open with them. 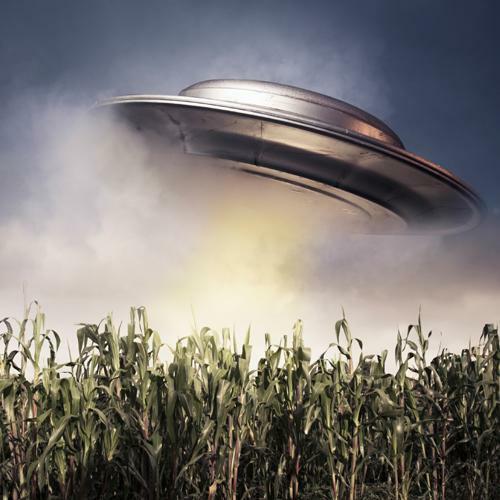 MUFON's Pennsylvania Chapter will pull the hangar door open at its Eerie UFO Conference, revealing the truth behind some of the biggest conspiracies of the past century. The morning sessions will focus on local incidents such as the Kecksburg Crash (in which an extraterrestrial artifact plunged into the woods 30 miles southeast of Pittsburgh) and the Presque Isle Encounter (in which two teenage girls were approached by a black, featureless humanoid creature at Beach 6), both observing their 50th anniversaries. In Kecksburg, the Army quarantined the crash site and denied recovery of any wreckage (an acorn-shaped object the size of Volkswagen gone missing? Seems a little squirrely to me). Here in Erie, many dismissed the alien encounter as youthful hysteria, although the case (Project Blue Book No. 10798) remains unsolved. According to witnesses Betty Jean Klem, Anita Haifley, and Douglas Tibbets, a mushroom-shaped craft touched down near their car (parked where the volleyball courts now stand), which was stuck in the sand. Tibbets went off to report the incident to park authorities while friend Gerald LaBelle searched for assistance towing the car, leaving the girls by their lonesome. Naturally, that's when the beast emerged from its toadstool, slinked over to the car, and clawed at the glass. Yo, can I get a jump? And jump they did. And screamed. And honked the horn. Geez, never mind. I'll just replace the battery. Eff this noise. The beast retreated to the Transportabella and took off, capping one of the more bizarre days (July 31, 1966) in Erie lore [account adapted from Robin S. Swope's Eerie Erie]. That's just the fringe of the nebula – after midday recess (optional boxed lunches are available for an additional cost, but with downtown nearby, good eats aren't exactly light years away), you'll voyage into even headier territory. MUFON Pa. Chairman John Ventre ("My Haunted Life"), author Nick Redfern ("The Collins Elite"), Dr. David Jacobs ("Abductions"), and Bob Galganski ("The Roswell Debris Field") each have fascinating insights to share at their respective lectures. In between, you can scope out the artwork of Eric Fargiorgio, the eclectic goods of NightMyst, or pick up a bar of handcrafted soap from Jento Soaps (it's okay to cleanse yourself of preconceptions, just remember to set aside time for your body, too).